So easy to write an Away Day programme! Yesterday I sat down to write a programme for an Away Day. The group is a local community group focusing on improving the experiences of lesbian, gay, bisexual & trans people in later life – particularly in the context of health and social care. The aims of the Away Day are for members of the Action Group to get to know each other better, to explore the contacts and connections that people are carrying round in their heads so we can start mapping routes in to the health sectors and to share ideas about how to develop a promotional strategy. After about 30 mins sitting in front of my laptop with a sketchy plan in front of me I suddenly had a brainwave – and felt a little foolish that I had not thought of it before. 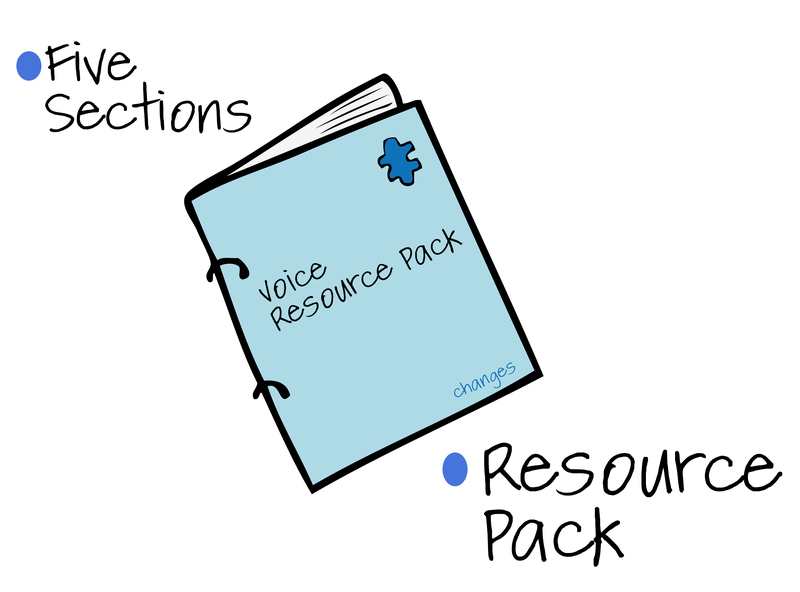 Of course – the Voice framework in the Axis of Influence series offers a whole load of discussion questions and activities which could look a bit like an Away Day programme. I have to admit to hunting around a bit before I found my own copy of the resource pack – it is a long time since I have made reference to it – when the Government changed and money was pulled out of local authorities and the voluntary sector resulting in huge levels of redundancy, job change, job insecurity – the capacity, interest and investment in community groups being supported to influence nose-dived and my Voice resource pack went into a cupboard. 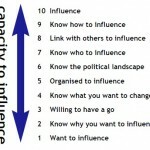 I realised that the remit for the day is of course all about influence – and that the Voice framework is designed to help groups to develop internally as well as influence externally – perfect – there must be something in the pack that has already been tried and tested, rather than starting from scratch. Putting the programme together was a dream once I realised this and all the activities are there – all I had to do was select what would work best for this group! we will then look at who makes the decisions that affect the lives of older LGBT people, leading into a look at the health & social care structures in the County. from this we want to start looking at people! we bring in the group’s strategic aims at this point to ensure that the people being identified are in the relevant context for what the group wants to achieve and we start looking at what these people may want to hear so the group can be a bit canny about future approaches. Voice reminds us to do this and then to agree the practical and complementary ways in which to carry the words to different audiences. I have forgotten what a joy it is to work with Voice and how much I personally used to get from facilitating sessions – I am reminded how it always does something, it always gets discussions going and is a very rewarding experience so I am looking forward to the Away Day and bringing it all back to life! Oh, and I estimate that, using Voice to plan this session has saved me about 3 hours planning time. 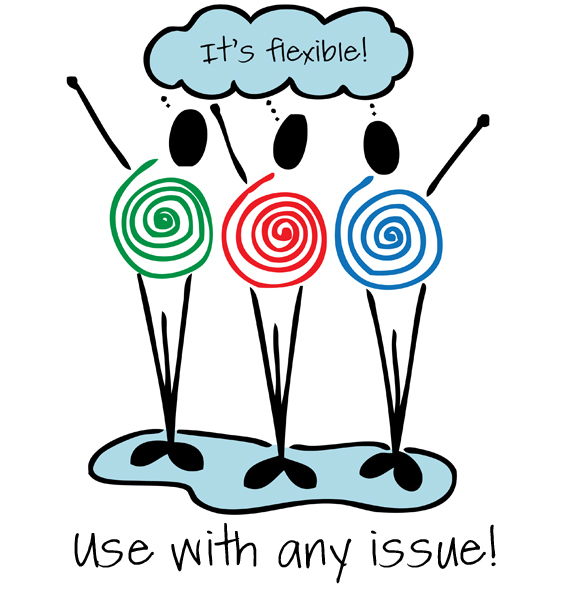 Of course, a Voice needs an echo to be fully rounded ….. but that’s another story! This is a true story which illustrates what we were talking about in our last post. Householders on a residential street were in conflict over the placement of a new bus stop and shelter. The rumour going around was that the original proposal ‘to locate the stop and shelter in front of number 46’ had been opposed by the householder at 46 and so it had been moved to a site outside number 72. The residents at number 72 opposed this ‘new proposal’ vehemently and were joined in their opposition by neighbours on either side and for some distance up and down the street. Conflict arose between the resident at number 46 and a large number of householders in opposition to the revised plans. This conflict persisted for some time .. until it suddenly stopped. The deciding factor was a facilitated meeting of residents, with support for number 46 to attend. Discussions ensued and it transpired that number 46 had ‘good reason’ to oppose the original location for the bus stop and shelter – they had already applied to have a disabled parking bay in front of their property and were awaiting the results of their application; all they had done was bring this to the attention of the Transport Officer and left it at that – there had been no petitioning, no lobbying, no active opposition. As it was, the residents discussed various options and concluded that the proposed position, outside number 72 was indeed the most appropriate. The residents of number 72 were in agreement and could see some other advantages of this position. The plans proceeded unopposed! Residents on the street recognised that they had jumped to some conclusions and felt the benefits of the discussion and joint decision-making. While we were in the midst of delivering a series of one-day community engagement courses for The Wildlife Trust some years ago, we suddenly realised that we couldn’t train on ‘community engagement’ without putting a real practical emphasis on the ‘community’ bit – and getting to grips with what that means in different contexts. “As a neighbourhood example – imagine a street of 16 houses. You want to gain an understanding of the issues and ideas for improvements from the local ‘community’. If you knock on all 16 doors you may get a general idea of common dissatisfaction around street lighting or rubbish collection but if you dig deeper you are likely to get up to 16 different responses about bigger issues and frustratingly conflicting suggestions for ways forward. In this example, there is little or no existing ‘community’ – imagine if you brought the 16 households together to discuss their ideas and suggestions – provided a forum for them to work together to agree the major issues and the most promising way forward – with knowledge about how your agency could support the work … you will get much more coherent, ‘sophisticated’ and workable information and a relationship will have started to develop. There is also much more onus on you to be very clear about why you want to engage with this neighbourhood in the first place and recognition of the skills required to do so. Crucially, community engagement is about ‘communities’ – not about individuals. One assumption is that communities already exist and are just waiting to be approached and ‘engaged’ but just because a statutory agency may identify a particular community or neighbourhood – doesn’t mean that the people identifying as that community, or living in a particular area, have any collective understanding of the issues you want to prioritise or the primary needs of their area”. This is the first of changes’ mini-morsels – a series of short sessions, an informal, nice experience with a cup of tea and a biscuit! 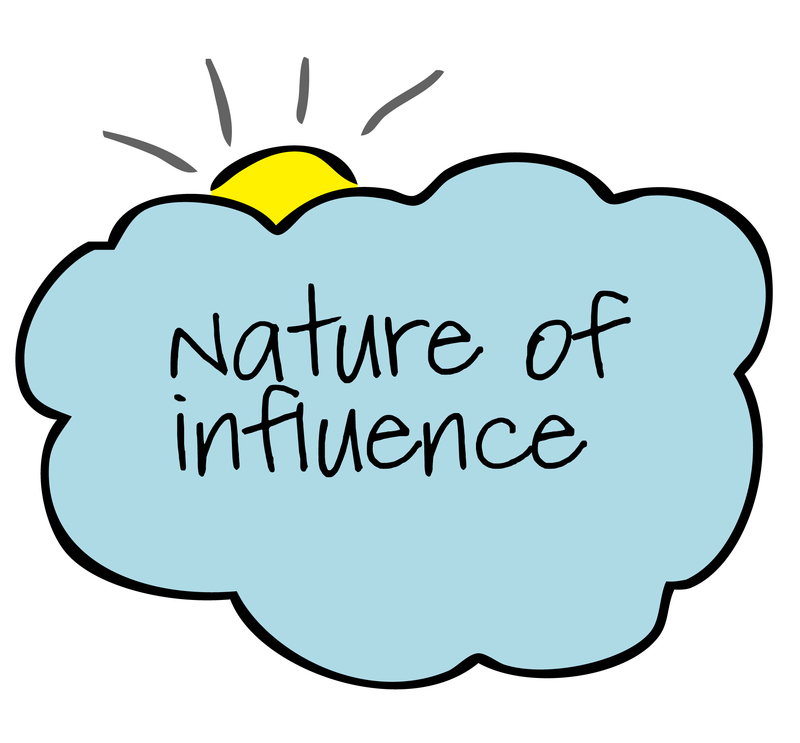 The ‘axis of influence series’ is becoming just that now as we have 4 frameworks sitting under that heading: Voice, echo, DUO and Dynamo. We have also set up a new domain to make it easier to point directly to them so, if you are wanting to tell people about them just signpost them to www.axisofinfluence.co.uk ! We are having a fascinating time at the moment, having teamed up with colleagues from a City Council, a CVS and other private sector folk – to develop the Dynamo framework which is a tool to help individuals become more influential within their own organisation. All members of the group are working without fees in a fantastic bit of collaboration which is both innovative and inspiring. The dynamo framework has been through its first pilot phase – with thanks to Wolverhampton City Council, South-West Forum and Community Development Exchange members in the West Midlands – and is currently being adapted and amended in response to feedback. It is due to go through second pilots in July. The idea is to take a long hard look at the reality of what is getting in the way of you being influential – starting with the barriers that your organisation puts in the way. 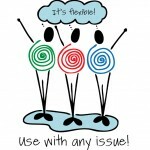 These might be about culture, priorities, management style, allegiances or finances. You then use a series of questions to consider what you can do to improve on this, work with it, go around it and generally push your case. Dynamo looks like it will be useful to a whole range of audiences and will be flexible enough to apply in different ways – from self-assessment through to facilitated groups. We are playing around with presentational ideas at the moment and will have more news soon.